Saturday, April 20th, 9:30 a.m.-12:00 p.m.
Join Walk Leader and sarc warrior Frank as he leads sarc warriors, friends, family, and supporters for the Sarcoidosis of Long Island Walk which will unite for the 5th annual awareness walk on April 20th, 2019. 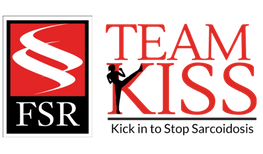 Sarc warriors fundraising for Team KISS last April broke our previous record and raised nearly $100,000 for sarcoidosis research making it our most successful walk to date. We hope you will help us Kick In to Stop Sarcoidosis this April and make our movement even more impactful in 2019!